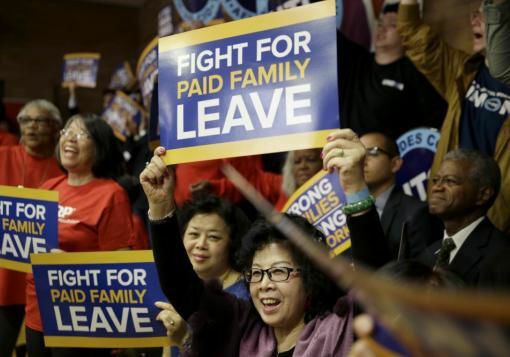 Colorado legislative Democrats want to pass the country's most liberal and permissive family leave act. The new “division” would be a state “enterprise.” Sponsors hope semantic “enterprise” trick allows them to fund the program with compulsory charges to employers and deductions from employee wages. Because it is an “enterprise,” the bill calls the payroll and employer taxes “fees.” They hope that will circumvent the Taxpayer’s Bill of Rights requirement that voters approve new taxes. Never mind the fact “fees” are, by definition, paid voluntarily by people purchasing services. Compassionate people care about families and favor medical leave programs to help employees care for newborns or tend to relatives who have taken ill and need care. The federal Family Medical Leave Act protects jobs of employees who leave for those reasons, and many employers have programs to continue wages for employees on leave. The concept of family leave is good. This bill takes a well-meaning philosophy and turns it into a liability for employers and employees that goes too far and is rife for abuse. No other state in the union has anything like the program proposed by SB 188. Qualifying conditions suffered by “any other individual” include anything relating to active duty military service or an impending call to active duty service. If an employee’s friend faces impending deployment, he or she may take at least 12 weeks of paid leave to assist with anything ranging from, and not limited to, “attending counseling, attending military events or ceremonies, spending time with the military member during a rest or recuperation leave,” etc. The bill goes on to describe any employee taking leave to help any other person, military or otherwise, with circumstances including, and not limited to, “domestic abuse, sexual assault or abuse,” “stalking,” any “threatened act of stalking,” and any medical or mental condition. In other words, everyone qualifies for 12 weeks of paid medical leave to assist or merely be with nearly anyone for any reason conceivable. Everyone knows someone who fits any of the listed conditions or the “not limited to” events limited only by imagination. Proposed amendments fall short of seriously limiting qualifying individuals and events, because sponsors want this to appear as a gift to every person remotely linked to common human disruptions large and small. It gets worse. To qualify for 12 weeks of helping almost anyone with any challenge one can imagine, an employee need work only 680 hours — anywhere. The hours transfer, so someone who works 680 hours and quits can immediately leave the next job for 12 weeks to help a neighbor cope with a “threatened act of stalking” or some other trauma. Imagine finding temporary replacements for “FAMLI Leave” employees in a labor market heavy in jobs requiring security clearances, enduring a major nursing shortage, and an unemployment rate of 2.8 percent. “Any business contemplating coming to Colorado Springs, or anywhere in Colorado, will have to factor in how this would seriously affect their overhead and the stability of their workforce,” said Rachel Beck, government affairs director for the Colorado Springs Chamber of Commerce and Economic Development Commission.